This dark comedy depicts Pablo, a single, 40-something with a dead-end job and drinking habit who is lured to his late aunt’s estate by the promise of an inheritance. Instead, he receives a porcelain dog and his nerdy nephew, Zoran. 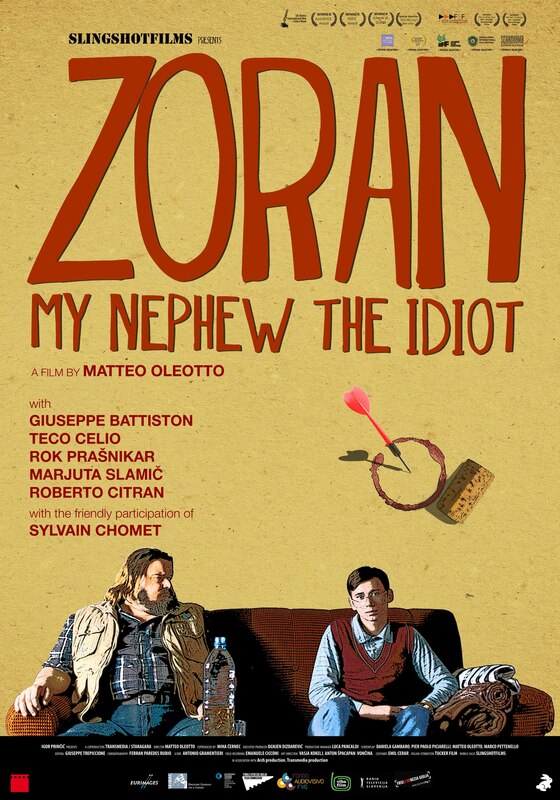 At first annoyed by his new parental role, Pablo’s feelings change as he discovers Zoran’s talent for throwing darts. Hoping to cash in on his nephew’s skill, Pablo puts Zoran to work hustling locals. A charming story set amidst the picturesque vineyards of the Friuli region near the border with Slovenia. Zoran’s witty humor is accompanied by regional song and large quantities of local wine.